The best Oral-B Brush head for most people will be the Crossaction brush head. This is because it is small, maneuverable and the bristles are set at a 16 degree angulation which are ideally suited for cleaning by the gum margin. For sensitive teeth or for people who press too firmly when they brush, I would recommend the Oral-B sensitive brush head because of its softer bristles. The Oral-B Precision clean brush head comes in runner up spot, although good it has been superseded by the Crossaction brush head. N.B. 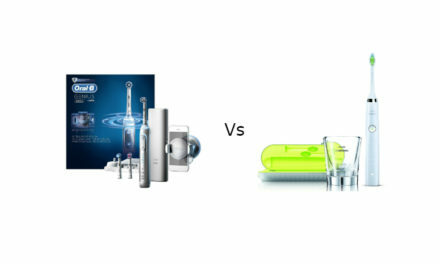 If you would like to find out my recommended list of electric toothbrushes click here. 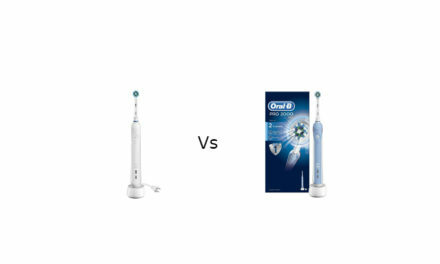 The best Oral-B overall brush head for regular use is the Oral-B Crossaction brush head. This is the Brush head that I personally use every day. It’s bristles are angled at 16 degrees which allows it to clean teeth and gums. The bristles are also medium firmness and have indicator bristles which give you a sign as to when you need to change your brush head. In general it is wise to change your brush head every 3 months to clean your teeth properly. Using brush heads for too long can lead to a build up of bacteria and also cause the bristles to become frayed. Once bristles become frayed, the brush head is no longer cleaning the teeth efficiently. The Crossaction brush head is also small and round in shape. This allows oscillating rotating motion to work optimally and also means that the brush head is maneuverable around the mouth. With manual toothbrushes it can be difficult to clean back to the wisdom teeth however with the Crossaction Oral-B Brush head it is much easier. The only Oral-B rechargeable electronic toothbrushes that this brush head is not compatible with is the Oral-B Pulsonic toothbrushes. Click here to buy Oral-B Crossaction brush heads from Amazon . 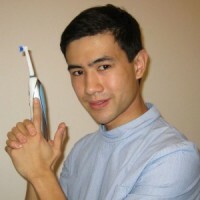 The runner up Oral-B brush head is the Oral-B Precision Clean brush head. It is a great brush head and in fact I used to use it daily until I moved onto the Oral-B Crossaction brush head. Unlike the Crossaction, it’s bristles are not set at an angle and are straight. This does mean that it does not clean around the gum margins as effectively. The outer blue bristles are slightly longer than the inner white bristles which means it can effectively clean tooth by tooth. The bristles are of medium firmness and also feature indicator bristles. These indicator bristles fade with time and indicate when the Oral-B Precision clean brush head is due for replacement. Like the crossaction brush head, the precision clean is round allowing for effective use of the oscillating-rotating motion of Oral-B electric toothbrushes. It is also small in size allowing you to reach those far back wisdom teeth with ease. The only Oral-B toothbrush it does not work with is the Oral-B Pulsonic toothbrushes. Click here to buy Oral-B Precision Clean Brush heads from Amazon. The Oral-B Sensitive brush head is perfect for people who have sensitive teeth or alternatively for people who brush too firmly. If every time you use the Oral-B electric toothbrush the visible pressure sensor is flashing red, this is definitely the brush head for you. The bristles are soft which means it is gentle on your teeth and gums. It also features indicator bristles which tell you when it needs replacement. As a general rule of thumb, brush heads should be replaced after 3 months. As with all the other brush heads it is not compatible with the Oral-B Pulsonic electric toothbrush handle. Click here to buy Oral-B Sensitive Brush Heads from Amazon. In my view the Oral-B Trizone is one of the worst brush heads that Oral-B make,I discussed why in this article. The trizone brush head is fundamentally different to almost all the other brush heads. The brush head is split into three different zones, a power tip, short bristles and long bristles. These zones sweep back and forward giving it a feel of a manual toothbrush. The problem I have with it is that the head size is too big and is very difficult to control. I managed to damage my gum when trialing it. The sweeping back and forward motion is clunky and it did not feel like it was cleaning my teeth as well as the Oral-B Crossaction. It does have indicator bristles like the other brush heads reviewed and the bristles are of medium firmness. The Oral-B Trizone brush head is compatible with almost all Oral-B electric toothbrush models apart from the Oral-B Pulsonic. I would recommend avoiding this brush head. Click here to buy Oral-B Trizone Brush Heads on Amazon. The Oral-B FlossAction brush head is actually a fairly good brush head so why has it received 2 stars? The name is very misleading. Even if you use this brush head twice a day for 2 minutes, it will not replace flossing or using a tepe brush between your teeth. If you read the fine print for the Oral-B FlossAction brush head, it says a superior deep clean between teeth vs a regular manual toothbrush. It does not compare it to an electric toothbrush or a manual toothbrush with flossing. If you use the floss action brush head with flossing, it is actually a fairly decent brush head on par with the Oral-B precision clean brush head. It features straight, medium firmness bristles and Yellow MicroPulse Bristles that are meant to clean between your teeth. It also has indicator bristles that let you know when to replace your brush head. The head size is also small and round which allows the brush head to be controlled easily. The Oral-B FlossAction brush head is not compatible with the Oral-B Pulsonic handle. Click here to buy Oral-B FlossAction Brush heads on Amazon. The Oral-B Ortho essentials brush head is fantastic for anyone who has fixed braces. The pack contains 1 x interspace brush head and 2 x ortho brush heads. The interspace brush is incredibly useful for cleaning between the orthodontic wire and the tooth as this is a place where food tends to get stuck. Also the interspace brush does a great job cleaning the small ridges around the orthodontic brackets. The Oral-B Ortho brush head has been specially designed to clean around braces. It’s round shape and small head size means the brush head is very maneuverable. Also the bristles have been carefully placed to clean around brackets. The only thing it is missing is the indicator bristles however a good rule of thumb to follow is to change after 3 months. I frequently recommend the Oral-B Ortho essentials brush heads to my patients who have fixed orthodontic braces. 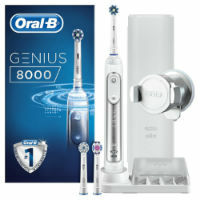 It is compatible with all Oral-B electric toothbrushes apart from the Oral-B Pulsonic handle. Click here to buy Oral-B Ortho Essentials Brush Head from Amazon. The Oral-B Dual Clean brush head is effectively a precision clean brush head combined with a trizone to make one huge brush head. The size is unfortunately its downfall as it is extremely difficult to control this brush head due to it’s odd shape and mixture of motions. I find it particularly difficult to clean the gum margins with this brush head which is often where plaque tends to accumulate. The bristles are of medium firmness and this brush does feature indicator bristles, which is always useful. I would still advise to stay away from the type of brush head especially as there are great alternatives like the Oral-B Crossaction brush head and the Precision Clean brush head. The only exception to this rule is the Oral-B Pulsonic handle. Click Here to Buy Oral-B Dual Clean Brush Heads from Amazon. The Oral-B 3D white brush head is a round brush head that features a hygienist inspired polishing cup in the middle of it. In fact the polishing cup is very similar to the ones dental care professionals use when doing a scale and polish. This is most certainly a specialist brush head and I would not recommend it for daily use. Using this brush head too frequently especially if used in combination with an abrasive toothpaste could lead to tooth wear. Tooth wear can cause sensitivity and teeth to look more yellow. This is because the dentine starts to show through the enamel. Th Oral-B 3D white brush head will not whiten your teeth like professional teeth whitening. It will merely help remove some of the staining and if not used carefully some of your tooth with it. The polishing cup takes up a lot of the brush head meaning this brush has less bristles. The downside to this is when I use it, it does not feel as though it is cleaning my teeth properly. The Oral-B 3D white brush head is compatible with most Oral-B rechargeable electric toothbrush handles apart from the Oral-B Pulsonic Handle. Click here to buy the Oral-B 3D White Brush Head from Amazon. All these are great fun for children and provide a lot of choice. The Oral-B Power Stages Kids Brush Head features an extra small brush head to easily fit inside children sized mouths. It also has extra-soft bristles which is useful as children often press too hard when brushing their teeth. These extra-soft bristles are nice and gentle on the gums and teeth. This brush head also features a bristle indicator which reminds you when you need to replace the brush head. I advise that any brush head is replaced after 3 months or when the bristles start to get frayed, which ever is earlier. 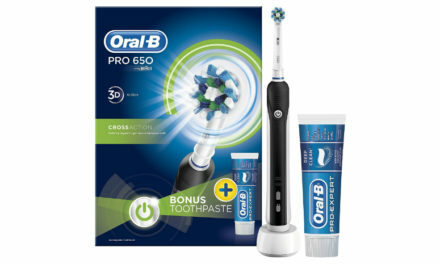 This brush head is compatible with almost all Oral-B Rechargeable electric toothbrush handles however would thoroughly recommend that it is used in conjunction with the Oral-B Stages Power Kids Electric Toothbrush . It is not compatible with the Oral-B Pulsonic handle. None, it is the best Oral-B brush head for children. Click here to buy the Oral-B Power Stages Brush Heads from Amazon . I would recommend always using genuine Oral-B Brush heads on your Oral-B electric toothbrush handle. Buying fakes is a false economy and will likely result in more damage than good. As stated above, I would always recommend buying genuine Oral-B brush heads. How often should I replace Oral-B Brush heads? I would recommend replacing your Oral-B Brush heads after 3 months or when your bristles start to become frayed, which ever is earlier. Where are some good places to buy Oral-B Brush heads? What Oral-B Brush heads are compatible with my Oral-B Electric toothbrush handle? As a general rule all Oral-B Brush heads fit all Oral-B rechargeable electric toothbrush handles. The only exception to the rule is the Oral-B Pulsonic handle. What is your recommended Oral-B Brush head? I personally use the Oral-B crossaction brush head daily however it does depend on your teeth. For most people the best brush head to use will be the Oral-B Crossaction brush head. If you are a child then the best will be the Oral-B Power stages brush head. For people with sensitive teeth, the best Oral-B Brush head will be the Oral-B Sensitive brush head. Finally if you have braces on your teeth I would recommend going for the Oral-B Ortho essentials brush head. 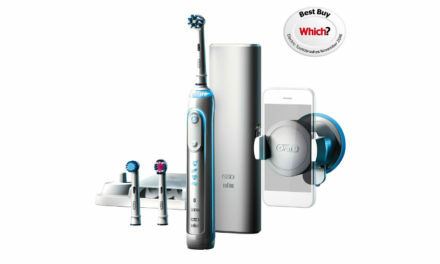 What electric toothbrush handle would you recommend to use with the Oral-B Brush head? If the electric toothbrush handle you are looking for is for a child, I would recommend looking at this article. If it is for an adult, I would recommend you look at this article. In summary, Oral-B make some great brush heads for their products and would thoroughly recommend trying out some of the brush heads listed below. Thank you for reading this article and if you need any additional help please let me know in the comments section below. Great review, I was looking for this for a while.